Talking of confusing non-rhotic respellings (yesterday’s blog and comments), yesterday’s Independent newspaper had an interesting take on the correct pronunciation of German. Unfortunately, the English spelling ar, while indeed standing for schwa in nonrhotic beggar, particular, collar, standard etc, also stands for ɑː in cigar, pulsar etc. And of course rhotic readers will interpret it as implying a following r sound too. Today’s Guardian, on the other hand, has an interesting mistake which presumably results from a nonrhotic reporter’s mishearing of what was said in court or at a press conference. The term hermetic means (COD) ‘1. with an airtight closure. 2. protected from outside agencies. 3 of alchemy or other occult sciences, esoteric’. The word intended must have been anti-emetic. Happy Christmas everyone. Next posting: 31 December. It’s some time since I last discussed Montserratian Creole English (see 21 Nov 2006 here) in this blog. 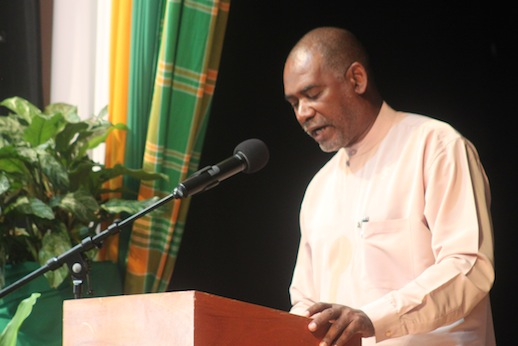 During the statement, whilst talking about sand mining, the Premier sought to take a dig at Montserrat born calypsonian De Bear, for his 2012 hit song entitled 'All Ah Dem Ah Get' by stating that contrary to insinuations in the very popular song, Meade stated, "me nar get none." The point of interest here is the spelling nar for the Creole word pronounced naː. This is a function/structure/grammar word/particle used in certain Caribbean creoles (certainly Jamaican and Montserratian, at any rate) but not in standard English. Its meaning is a combination of negation and progressive aspect, ‘not …-ing’. The calypsonian’s claim aːl a dem a ɡet could be paraphrased in standard English as ‘they are all getting’, i.e. ‘they’re all on the take’, and the premier’s riposte as ‘I’m not getting any’. Here’s the relevant entry in the Dictionary of Jamaican English. Notice that the DJE spells it naa, in accordance with the phonemic spelling system devised by Fred Cassidy for Jamaican Creole and now recommended by the Jamaican Language Unit at the University of the West Indies as a ‘standard writing system for Jamaica’. You also sometimes see the spelling nah. (In JC, but not MC, the progressive aspect is also used to refer to habitual action: nah gwan a Jamaica ‘don’t go on in Jamaica’.) But Jamaicans never spell it nar (the spelling used in yesterday’s report from Montserrat), and for a very good reason: in JC this particle does not rhyme with car, far, tar etc, which in JC retain their historical r in pronunciation (kjaːr, faːr, taːr). Montserratian Creole, however, is non-rhotic. There naː rhymes exactly with faː and so on, making it common sense to spell it in the same way, with an r.
If you’d like to hear what Montserratian standard English sounds like, try this. For Montserratian (semi-)Creole the best I can offer you is this clip of De Bear, who was born and grew up in Montserrat; but he doesn’t happen to say naː at any point in this calypso. We sometimes use the punctuation mark “/”, normally unsurrounded by spaces, in running text. Here’s an example from my blog posting of 10 October. A correspondent writes to ask how to read this aloud. Good question. The meaning of “/” here is to indicate alternatives. We could gloss it as ‘or’. 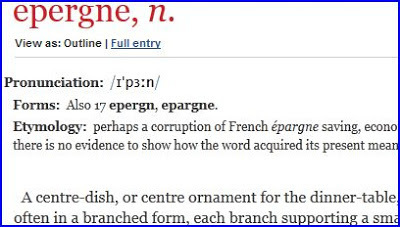 Indeed, one way to say it aloud is to pronounce it, unstressed, as if it were written or, thus ˈlætɪn ɔː ˈɡriːk ɔː ˈhiːbruː. But that would be like reading i.e. aloud as ðæt ˈɪz. What would be the equivalent, for “/”, of ˈaɪ ˈiː? The usual thing, in contemporary BrE at any rate, seems to be to pronounce it as if it were written stroke, thus ˈlætɪn strəʊk ˈɡriːk strəʊk ˈhiːbruː. Another possibility is slash, or even slash mark, thus ˈlætɪn slæʃ ˈɡriːk slæʃ ˈhiːbruː. In the days of my childhood, before the decimalization of our currency, you would pronounce 3/11, for example, as three and eleven, or formally and in full as three shillings and elevenpence (-pəns). (No one would have dreamt of saying three stroke eleven.) An alternative way of writing this sum then was 3s. 11d. There are various other names for the punctuation mark we are discussing. Typographers sometimes call it a solidus ˈsɒlɪdəs. There are also diagonal and oblique. See a longer list in Wikipedia. In China and Japan, the term ‘keynote speech’ seems to have undergone serious grade inflation. At the Shanghai conference I alluded to yesterday there were no fewer than 15 different ‘keynote speeches’ delivered, which seems to imply a polyphonic reluctance to remain in tune. I would have just called them ‘plenaries’. Anyhow, a particularly interesting one was given by the organizer of the conference, Bu Youhong. She reported on some of the intonation errors she had observed among Chinese learners of English. In line with Francis Nolan’s advice, she was concerned only with ‘the division of the speech chunks’ (tonality) and ‘nucleus placement’ (tonicity), not tone. I have tended to regard chunking (tonality) as a pretty common-sense matter, not varying much across languages, and therefore not needing much explicit teaching. Judging by some of the material Prof. Bu presented, this is not entirely the case. Her subjects had to read aloud a written passage of English. Some of their intonational treatments were nothing short of bizarre. Isn’t it also obvious that the complementizer (‘subordinating conjunction’) that has to be grouped with the clause it introduces, rather than treated separately or grouped with the verb it depends on? Again, evidently not: the example quoted is only one of a whole number in which Bu’s subjects had wrongly treated that as if it were a determiner (= demonstrative) rather than a conjunction ( = relative pronoun or complementizer). And isn’t it obvious that a pronoun object (here, it) has to be grouped with the verb that precedes it? It would get its own i.p., and therefore a nuclear accent, only in the rare case where it was thrown into contrastive focus. These points are all subsumed in the general rule for not accenting function words — a rule that nevertheless calls for quite a bit of work. Do we really need to spell out that the indefinite and definite articles are covered by this rule, along with that when it is not a demonstrative, and pronouns? As I found in Shanghai, most people in mainland China cannot access my blog, because Blogspot is hosted on the Google ‘cloud’, which the Chinese government routinely blocks. They can’t see Facebook, either. They can, however, see my UCL pages, and can exchange email freely. I also thought it strange that the conference I attended, despite being billed as the “1st Chinese International TESOL Symposium on English Phonetics Teaching”, apparently had no web presence. But I don’t think that has anything to do with official restrictions, more with a low awareness of the internet among Chinese academics. The conference was also referred to as “the 2012 English Phonetic Conference in China”, this being a series of biennial conferences. 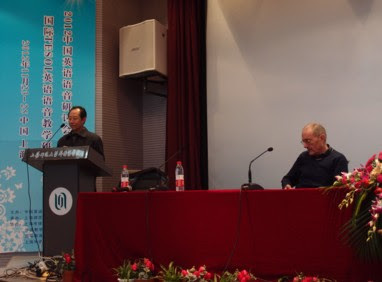 Since my return, I have discovered that the 2010 conference, held in Jiangsu, does have a modest web presence, from which I have been able to recover the abstract of the keynote speech given by my colleague Francis Nolan of the University of Cambridge, who had some sensible things to say about the teaching of intonation in an EFL context. Those who have had explicit instruction in English intonation will be aware that English has a rich intonation system, one that from the foreign learner’s point of view is possibly quite daunting. In the first part of this talk I will risk making English intonation even more daunting by giving a summary of the substantial intonational variation found in major accents (or dialects) of English in the British Isles. In the second part I will attempt to reassure non-native speakers of English by suggesting that, in fact, native speakers’ familiarity with this variation makes them relatively tolerant of learners’ intonational deviations. Unless learners wish to have an absolutely native English accent – a questionable goal outside spy school – their efforts should focus on a number of priorities in the prosodic system. …Speakers in Belfast produce a rise-plateau in pitch where RP speakers produce variously a fall, a rise, or a fall-rise; yet there is a high degree of mutual intelligibility (as long as the segmental features are not too different). Such alternative patterns should remind us that English listeners are used to coping with considerable intonational variation. Admittedly, some nuances may be misinterpreted across dialects, but such misinterpretation in itself suggests that even the acquisition of perfect RP intonation won’t solve everything – unless the learner never mixes with non-RP speakers. …I will suggest that what learners need is a strategy which will optimise the pedagogical cost-benefit ratio in terms of (in order of priority) intelligibility, the avoidance of inadvertent offence, and (lowest in priority) the mastery of intonational nuances. Broadly corresponding to these three goals would be three prioritised learning targets: the mastery of accentuation (involving stress placement, rhythm, and pitch prominence achieved by a reduced inventory of pitch accents); the eradication of any L1-influenced phonetic realisations of pitch accents which might convey unintended meaning in English; and (lowest in priority) the acquisition of a more complete set of intonational pitch contrasts. Thus he sees the mastery of English tonicity (aka accentuation, aka placement of the nucleus/tonic) as the most important goal, much more so than mastery of the fine details of pitch contours in tone contrasts. I agree wholeheartedly. I also see this as my defence against critics of my own intonation book who suggest that because my description is based on RP it is irrelevant to the needs of most learners, or that it ignores AmE and other models. On the contrary: that is why I relegated details of minor differences in pitch patterns to a late chapter, ‘Beyond the three Ts’. Everything in the earlier part of the book is applicable, I believe, to all core L1 varieties of English, and that is what is of importance to EFL learners. Ren Houbo writes to say that he is delighted with yesterday’s answers and examples, and is looking forward to hearing about handle. So here goes. The l at the end of handle constitutes a syllable on its own, usually with no separate ə after the d. The word is pronounced ˈhænd.l̩. Being, therefore, ‘syllabic’, this l may be somewhat longer in duration than it would otherwise be. Houbo Ren writes to ask about “/n/ and /l/ in linking speech”. When a word ends in a consonant sound, move the consonant sound to the beginning of the next word if it starts with a vowel sound. I think we need to make a distinction between what native speakers perceive and what non-native learners, in this case Chinese people, perceive. 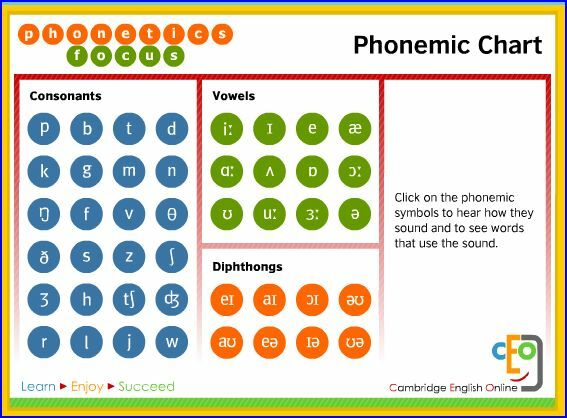 We must also distinguish the linguistic facts, as demonstrated by such matters as minimal pairs and the rules governing the choice of allophones, from pedagogical advice suitable for beginners or intermediate-level learners. Let us take the linguistic facts first. Phoneticians pointed out long ago that a word-final n sounds different from a word-initial n in an identical phonetic environment. The phrase an aim ən ˈeɪm sounds subtly different from a name ə ˈneɪm. Impressionistically, we can say that the n of an is weaker and more quickly articulated than the n of name. Turn out is tɜːn aʊt, not tɜː naʊt and not tɜːn naʊt (for the last, compare turn nasty). Similarly, the word-final l of all eight ɔːl ˈeɪt is different from the word-initial l of (soon) or late ɔː ˈleɪt. This type of difference is more obvious in the case of plosives such as /t/. There is a clear difference in pronunciation between Is the ship at anchor? … ət ˈæŋkə and Is the ship a tanker? …ə ˈtæŋkə. The word-final t of at is not strongly aspirated (and may also change to a glottal stop in some kinds of BrE, while in AmE it regularly becomes a voiced tap); the word-initial t of tanker is voiceless, alveolar, and strongly aspirated. So from the NS’s point of view the advice given above is wrong. We cannot state as a general rule that a word-final consonant is moved to the beginning of the next word if that word begins with a vowel sound. In phonology terms, the principle of maximizing syllabic onsets at the expense of codas does not apply across the board in English, at least when we consider minimal pairs and articulatory detail. For hundreds of further examples, see here. Nevertheless… In standard Chinese, words and syllables do not end with consonant sounds other than n and ŋ. Chinese people learning English are accordingly tempted simply to omit final consonants. As a reminder that these consonants must not be omitted, the advice to transfer them to the next syllable where possible may obviously be useful. The word handle that Houbo asks about is a special case, because in this word the final l is syllabic. More on syllabic consonants tomorrow. The current (Dec 2012/Jan 2013) issue of The Linguist, the official journal of the Chartered Institute of Linguists, carries a chatty article about one Mary-Jess Leaverland, a young lady who “shot to stardom after winning the Chinese ‘X-Factor’”. She had turned to studying Chinese, leading to a degree in Music and Chinese at the University of Sheffield, after becoming disillusioned with school French lessons. Her TV break came after she went to Nanjing as part of her degree work. All credit to her for her success in modern languages as well as in music. I’m not so impressed, though, by her reported comments on Chinese pronunciation. So English vowels sounds are more ‘open’ than those of Chinese, the pronunciation of the latter being ‘all at the front of the mouth’? I don’t think her study can have included any phonetics. Otherwise she would have known that the antonym of ‘open’, of a vowel sound, is not ‘front’ but ‘close’. The vowel systems of both Chinese and English include open vowels as well as close (and mid) ones, back ones as well as front ones. 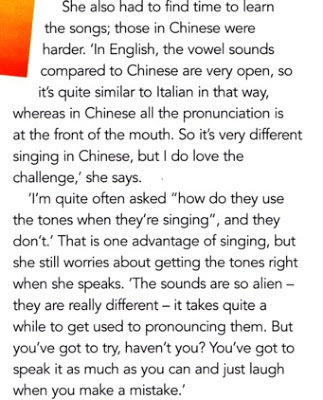 The Chinese vowel sounds that are unusual to English ears (Mary-Jess is from England) include y (Pinyin ü, (q)u etc), which is indeed front, though in no way ‘quite similar to Italian’. More strikingly, they include ɨɻ and ɯɹ (both represented in Pinyin as i, the first when preceded by sh, r, ch, zh, and the second when preceded by s, c, z). See blog,26-27 Jan 2007. These do involve the tongue tip, but are central and back respectively rather than front. There is also ɚ (er), which is like the corresponding AmE sound, but again entirely un-Italian. OK, The Linguist is for linguists in the sense of polyglots, interpreters and translators, not in the sense of scholars of linguistics; but even so, I don’t think it should print ignorant nonsense, even if no one is going to take it seriously. It’s unprofessional. How can you tell that this visual pun was created by a north American? Because it doesn’t quite work in BrE or, therefore, in Australian/NZ/South African English. Why not? First, and obviously, because in BrE barium has the stressed vowel eə while bury has e. So for us Brits barium sounds different from bury ‘em. But in AmE they are homophonous. The emphatic form of the pronoun was early superseded by THEM pron., but the unstressed form continued to be used, being regarded as an abbreviation of them. In literature it is now obs. or arch., but is still common in familiar speech. Obsolete or archaic… yes, but not really "still common in familiar speech" (or so it seems to me). Rather, as far as I am concerned it seems to be generally restricted to a few set formulaic expressions such as If you can’t beat ‘em, join ‘em and give ‘em the money. Beyond that, them can lose (or assimilate) its ð in the same way as that, the or they when following z in phrases such as is that, was the, claims they, sees them. When I was a small child we spent family holidays in a friend’s unimproved rural Yorkshire cottage called, for some reason, Buryemwick ‘Bury them alive’. 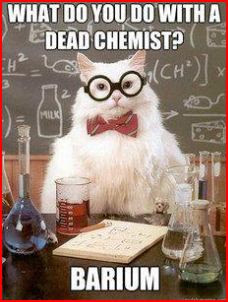 But if asked what to do with dead cats, for example, we’d never have said “bury ‘em”, but rather “bury them”. It would also be possible to take the final əm of barium as representing not ’em but him (‘im) — but only in an accent of English that has lost the contrast between ɪ and ə in this position, as in often the case in AmE but generally not the case in English English. There’s a letter in today’s Independent about English spelling. The rules governing pronunciation in English are more complex than, say, German or Spanish. Most of us learn to overcome these obstacles when we learn to read at primary school, but some do not. The education of this latter group is blighted by the twin evils of complex pronunciation rules and non-phonetic spelling in the language in which subject material is written. the way in which a word is pronounced, esp. with reference to a standard. the act or an instance of pronouncing. a person’s way of pronouncing words etc. utter or speak (words, sounds etc.) in a certain way. But what the writer means by “the rules governing pronunciation” is clearly the supposed “rules” determining a word’s pronunciation on the basis of its spelling. And as we all know, many of the spelling-to-sound rules of English, such as they are, are subject to numerous exceptions and irregularities. Indeed, the writer goes on to argue that “part of the solution to the problem of illiteracy could be spelling reform”. If a book is described as dealing with “pronunciation”, we expect to find an account of phonetics, not of spelling-to-sound complexities. David Crystal’s recent book (blog, 31 Oct) is correctly subtitled “the singular story of English spelling”, not “…of English pronunciation”. 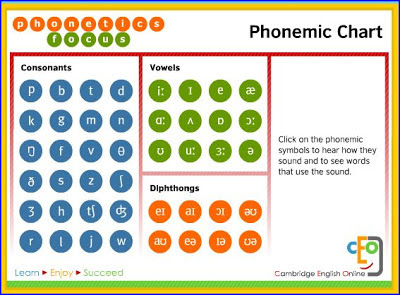 Non-phoneticians do tend to get confused about the difference between sounds and letters, pronunciation and spelling, phonetics and orthography. Just yesterday a PR person for Scrabble emailed me and then phoned me to ask for assistance with a story about “the most commonly mispronounced words in the English language”. She said she was concerned with native speakers, not EFL. It was not a matter of social/geographical features such as glottal stops. On my further questioning it turned out that she did not know whether she was thinking of articulatory difficulties such as a speech & language therapist would deal with, or with words of contentious pronunciation, where speakers have different views on what is correct. She said she’d get back to me when she’d thought further about it. On reflection, though, I have an awful feeling that what she may really be thinking of is none of the above, but rather words that have “mispronunciations” associated with misspellings. Things such as *mischievious mɪsˈtʃiːviəs instead of mischievous, for example, or … *mispronounciation. If she rings back, how much should I charge as a consultancy fee? I found that in China the inaccurate term ‘incomplete plosion’ (blog, 25 Oct 2011) was still widely in use. Furthermore, people apply it not just to the gemination type of no audible release (e.g midday) and the overlapping type (e.g. subcontractor) but also to nasal release (sadness) and lateral release (sadly). They don’t know about preglottalization (glottal reinforcement, as in laptop), despite this kind of articulation being a striking characteristic of Cantonese; but if they did, I expect they’d call that incomplete plosion, too. Here’s what it says in the recently published (and generally pretty good) textbook Better Pronunciation for Communication (Shanghai Foreign Language Education Press, 2012) by Liu Sen of East China Normal University. I read the manuscript of this book before publication, and managed to persuade the author to remove nasal release and lateral release as subcategories of ‘incomplete plosion’ and treat them separately; but she didn’t feel she could drop the term ‘incomplete plosion’ altogether, as I suggested, since it was, she said, so well established in English phonetics terminology in China. Now, seeing the textbook as printed rather than in manuscript, I realize I ought to have intervened more forcefully. Of the four examples given, numbers 2, 3, and 6 each have a plosive that is more likely to be elided than given no audible release; in number 5 NSs would be more likely to use a glottal stop or a no-audible-release assimilated [p]. A hold has "double the usual time" only in the gemination type, of which there are otherwise no instances here. 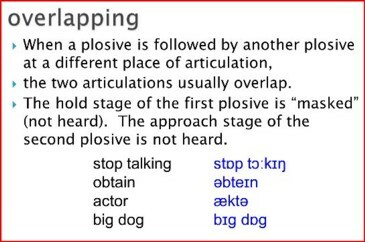 In numbers 3 and 4 of these examples NSs would probably elide the highlighted plosive; in numbers 1, 2, and 5 the plosive would have an ordinary oral release (though masked by the following fricative); in number 6 we might alternatively use [ʔ]. You can see why I chose as the topic for my workshop session in Shanghai ‘The characteristics of English plosives, and in particular the various ways in which they can be released’. Here is my take on what in my opinion is mistermed ‘incomplete plosion’ (even though, as Alex Rotatori pointed out, my colleague Patricia Ashby has used this term in a recent textbook).